Choose the cleaning services of Prestige! Our team works hard to make sure you are a satisfied customer. We offer cleaning services of the highest caliber. We’ll keep your home and office clean. 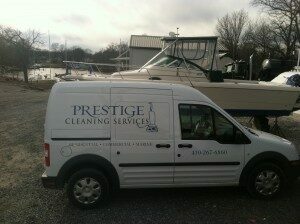 Servicing the Annapolis area. You can schedule a one time cleaning, or we can put your home on a maintenance cleaning program. These programs include weekly, bi-weekly or monthly services. You can also customize your own program. If you have a special request for your cleaning service, please let us know during the scheduling process and we will do our best to make sure your needs are met. For any and all services, if scheduling conflicts arise, please contact us immediately and inform us so that we can appropriately manage the calendar. In the event that a conflict arises on our end, we will reach you as soon as possible to resolve the issue and work with your schedule. Your time is very important to us and we are flexible with scheduling services.